Nothing else quite completes the look of your personalized bedroom more than customized bedspreads. The trick is finding a reputable company that can deliver on the promise of quality craftsmanship. Ask around and you will hear the same answer, time and time again – Sweet Shutters and Shades. Not only are we the local leading provider of window treatments like shutters, blinds and draperies, we are also the name locals trust for custom bedspreads in Charlotte and the surrounding areas. We take great pride in all the work that we do and every project is our most important one. Company founder and owner, Diane Sweet, brings to the team over two decades of hands-on industry-related expertise. So, you can feel confident about the level of work and quality results you can expect from this name. We will work hard to help you create an attractive and cohesive look for your home, including your bedrooms. 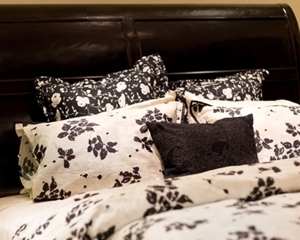 We can assist in making sure that your treatments and bedding match or coordinate. These are the details that will help you transform your current house into the home of your dreams. We believe that once we have the opportunity to meet with you, during the free in-home consultation, and you can view our variety of products and customization options, you won't want to shop anyplace else. We offer the in-house consultation so that you can view the various samples, in the comfort of your own home. Even more importantly, this makes a huge difference in your ability to visualize how a fabric, color or other detail will look in your home. This is the ideal approach to help you create an overall interior design aesthetic that works together. Anyone can fill their home with mass-produced linens and other details. Opting for quality, customized curtains and bedspreads is about going above and beyond. Not to mention, this is the type of product that will then become a family heirloom, handed down for generations to come. When it comes to the details that make up your home, quality should always matter. Let us help provide you with the workmanship that you need and deserve, in order to create the home of your dreams. From matching bedspreads and draperies in Charlotte to the little details like drapery hardware, we're the window treatment company you can count on for quality results and top notch customer service. 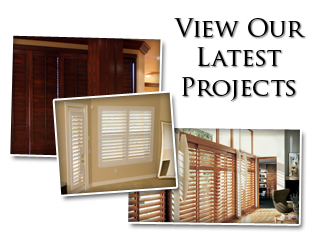 Sweet Shutters and Shades is available for your consultation, 7 days a week, morning, noon and night. We want to be able to provide you with the options you deserve so that you never have to settle for any detail in your home, including your bedspreads. Make the wise decision to contact our Charlotte shutter company today so that we can arrange a convenient time for your consultation. 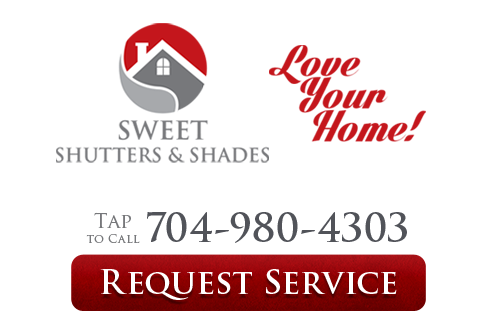 If you would like an estimate for custom bedspreads in Charlotte, NC or the surrounding areas, please call Sweet Shutters and Shades at 704-980-4303 or complete our online request form.